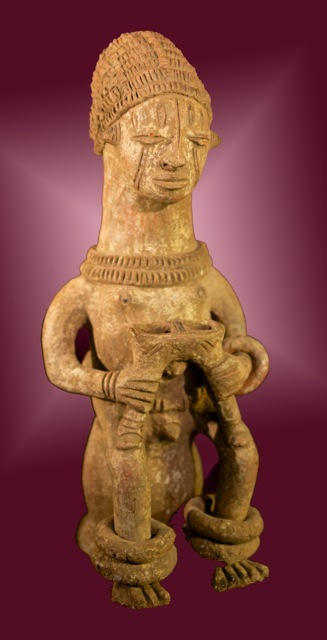 Presented in a special exhibition of Nigerian terra cottas by Gallery Noir d’Ivoire in Paris, this 19 inch tall southeastern figure shows both Urhobo and Igbo stylistic elements noted by Dr. Herbert Cole, author of numerous works on the area. 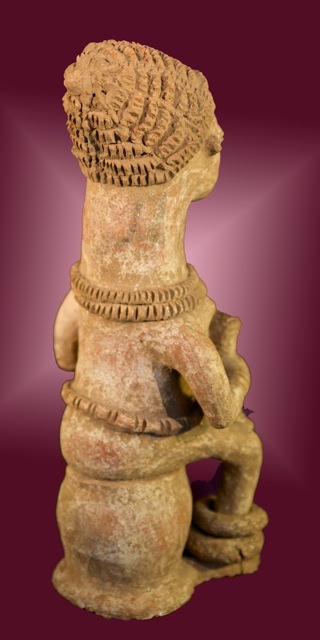 The sculpture’s anklets and bracelet revolve freely and its central double cup has legs with feet resting on each knee. 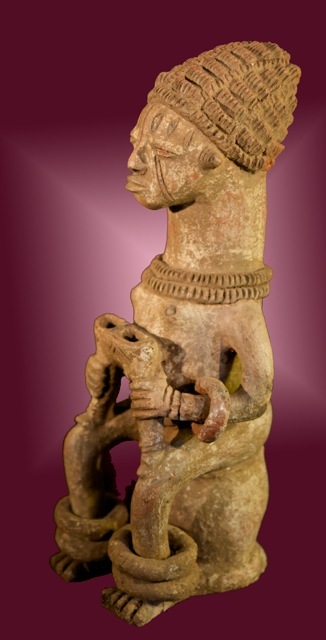 From the noteworthy collection of Serge Trullu in Nimes, France, this well preserved piece is now offered to informed collectors and curators.